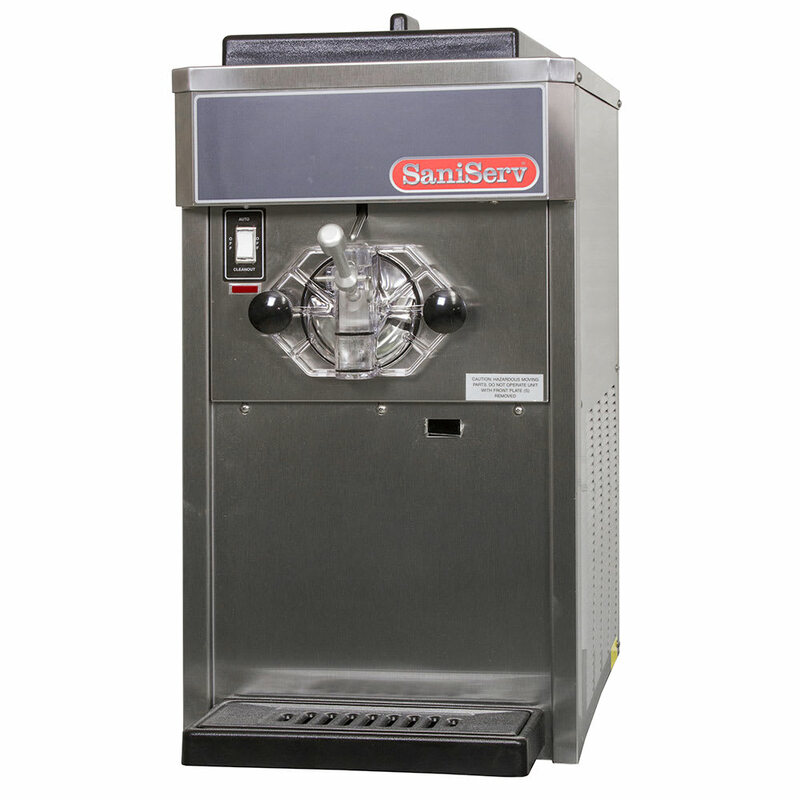 The SaniServ 404 T soft serve freezer has touch controls that are easy to use. The buttons come with symbols that are straightforward to read and understand. A built-in standby mode, solid state audible and visual mix out system, and a 3-minute lockout timer are also included. AccuFreeze™ technology uses viscosity to create quality product, and a self-diagnostic feature provides important information about the machine. A scroll compressor provides quiet operation, allowing you to use this unit in customer facing applications. It is designed to sit on countertops for convenient use. The exterior is made of stainless steel for durability and corrosion resistance, while the interior steel frame provides structure. The refrigeration system can be cooled with air or water, and R-404A refrigerant is used to keep temperatures cool. 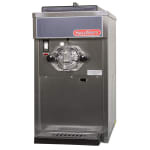 The SaniServ 404 T soft serve freezer holds 20 quarts of product in the reservoir. The CTS is included in this price and required to activate manufacturer's warranty, representative will inspect the unit for proper installation (uncrate & set in place with electrical connections arranged by end-user prior to scheduled CTS), representative will instruct end-user on proper operating & cleaning procedures including start-up with product (product to be supplied by end-user).